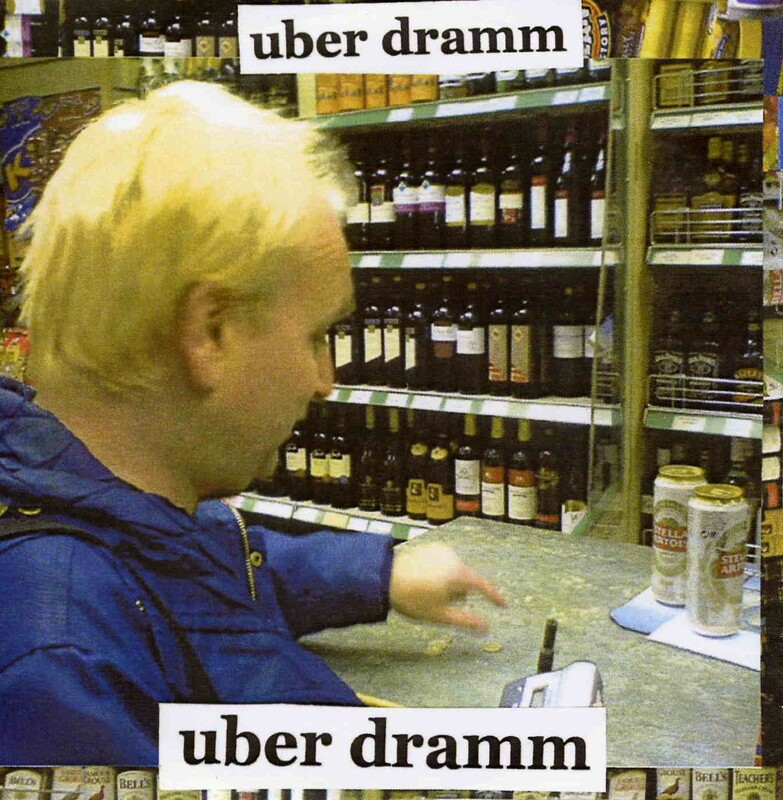 Uber Dramm are an Anglo-Flemish experimental psychedelic band that explore quite a variety of territory on this four track disc. Things kick off with a smokin’ psychedelic blues romp called Apathetic Bluesman, which is hardly apathetic. Full of invigorating energy, the multiple guitars, both electric and acoustic, weave in and around each other with raunchy blues licks while great psychedelic cheese organ swirls in the background. Midway through, the track took me by surprise when it slowed down for a spacey and beautiful acoustic break with melodic swirls of Pink Floydian style electric guitar, before stomping back into raunch mode again for the finale. Great 10-minute track, but it gives no hint at all as to what lies ahead! Unexpected Plans returns to acoustic mode, with the addition of glockenspiel like meanderings, spacey drones, and some psychedelic electric guitar noodling in the background. It builds to a quiet intensity of gentle feedback that finally takes over as the piece fades away. Ekeren Wind is reminiscent of some of the more acoustically inclined pieces of Quarkspace, with strumming acoustic guitars, rushing space winds and gorgeous piano. But the album again takes an unexpected turn with the closing piece, the epic 20-minute long Séance in a Shed. Apparently recorded live during an actual séance in a backyard shed, you can hear the ghostly voices of the participants floating eerily throughout the mix as howling space winds whoosh through layers of gothic space organ, spooky percussion, broken down harpsichords and many other strange and wild effects. This one would make the perfect soundtrack to your next haunted house excursion! Needless to say, you need to like a lot of variety in your listening experience to fully appreciate Uber Dramm’s album, but it is definitely a rewarding listen if you do.